This Is How You Get Carded FOR EVERRRRRR!!! All throughout high school, I always looked up to my neighbor. She was a straight A student, team captain in every sport, and looked like a Barbie doll. She was a year older than me and I sought her out for advice on everything…well okay, mostly boys and beauty tips. Every time we would have a sleepover, I would watch her sit in front of her mirror likeMarsha Brady, but instead of brushing her luscious golden locks, she would pull her face around like she was giving herself a face lift. I watched her do this for days, weeks, months, maybe even a year until I finally asked her, “what the heck are you doing that for?” To my surprise, she replied, “wrinkles”.Wrinkles? For Christ’s sake, I’m a teenager with a face full of acne, braces and headgear, what the heck am I worried about wrinkles for? Now, I’m not sure if my neighbor’s strategy of stretching her face around was the right way to do it, but I do agree that the earlier you focus on fighting fine lines and wrinkles, as well as acne, the better off your beautiful skin will be. I should have listened to my mom’s advice to put sunscreen on my face while I spent hours on the 405 with the sun beaming against my cheek, but maybe now I will. Firstly, focus on those rebellious red bumps that love to pop up on us at the worst times. After you’ve washed your face, wiped the day away with a toner and applied your soothing moisturizer, squeeze a dime-size amount of an acne medication to your fingertips and lightly dab it on your problem areas. Choose a cream product that contains salicylic acid or benzoyl peroxide to really bust those buggers away. Think of this process as mapping out the areas that need the most work and focus in on those specific spots rather then slathering your entire face with layers of gunky greasy goo.If you have one pimple on your cheek, dab a tiny amount on that sucker and let it be. If you’re like me and have 10 pimples around your jawline, well… you get the picture. Wash your hands with soap and water and move on to the next step. After treating your bumps and blemishes, it’s time to fight future wrinkles. Take Peter Pan’s approach to never growing up,or at least looking like you’re not. Get your hands on a great anti-aging cream, preferably one containing Vitamin C, peptides, hyaluronic acid and/oranti-oxidants. These ingredients will reinforce your skins youthfulness by firming, tightening, lifting, plumping, hydrating, softening, and all those other exciting words that make us all oooh and aaah. We all act like we are half our age anyways, so we might as well take the initiative to look it too. 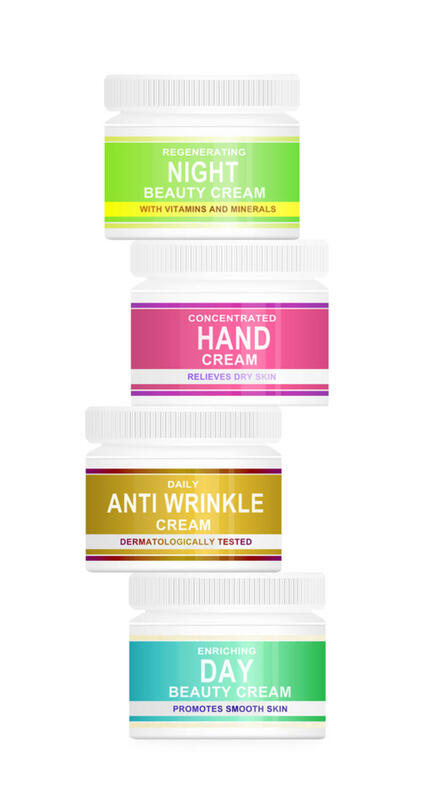 Delay the signs of your skin maturing by applying a small amount of anti-aging moisturizer to your ring finger (this finger uses the least amount of pressure,consider it your most delicate and gentle finger) and lightly smooth it under your eyes, around the creases, along your lip lines and don’t forget your neck and chest too. And…Tadah! That’s it! Not that hard is it? Now before crawling in to bed for your beauty sleep, smile at yourself in the mirror and get ready to have a front-cover face. Oh, and don’t forget to thank Ungenita for letting us in on her never-been-told-before beauty secret!